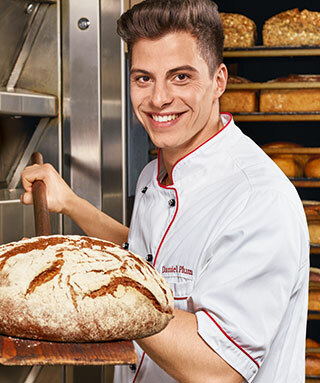 Together with our customers we explore the world of bakery. Thinking differently, we find inventive ways to create bakery success. We inspire our customers with ingredients and better ways to bake, manage and sell. Founded in 1900 by the Dutch Doeleman family, Zeelandia has become a global player in the bakery ingredients business. Today, over 3,000 employees worldwide are dedicated to develop products tailored to local tastes and needs in about 100 countries. Vollmer is an owner-run roastery that has been synonymous with premium coffee culture for 80 years. We are the flexible specialist of choice for top-quality solutions brought about by joining forces with customers from the out-of-home market.